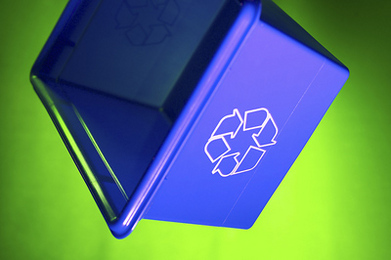 Reuse is often confused with recycling, but they are really quite different. (Even those engaged in reuse frequently refer to it as recycling.) Reuse in the broadest sense means any activity that lengthens the life of an item. Recycling, on the other hand, is the reprocessing of an item into a new raw material for use in a new product–for example grinding the tire and incorporating it into a road-surfacing compound. Reuse is nothing new. What is new is the need to reuse. Reuse is accomplished through many different methods: Purchasing durable goods, buying and selling in the used marketplace, borrowing, renting, subscribing to business waste exchanges and making or receiving charitable transfers. It is also achieved by attending to maintenance and repair, as well as by designing in relation to reuse. This may mean developing products that are reusable, long-lived, capable of being remanufactured or creatively refashioning used items. Unique to reuse is that it also brings resources to individuals and organizations that might otherwise be unable to acquire them. The best case for reuse is made by the more than 1,000 examples of individual, business, government and charitable reuse that are included in Choose to Reuse. Adapted from Choose to Reuse,by Nikki & David Goldbeck.Copyright (c) 1995 by Nikki & David Goldbeck. Reprinted by permission of Ceres Press. Adapted from Choose to Reuse,by Nikki & David Goldbeck. Yes Indeed and we need to mindfully do both. Hello and thank you so much for this great article. I need to admit I have thrown away loads of stuff in my life...What I personally find extremely difficult is the amount of effort and time you need to dedicate to decluttering and recycling. I often throw away stuff I no longer use, even though it's in perfect conditions. About a week ago one of my friends launched a Swap community that allows people to trade things they no longer use with something they need, please check it out and if you think you you might need it in now or in the future i suggest you join. I like to reuse glass jars for storing homemade jams and chutneys, and plastic tubs from the takeaway for storing all kinds of things. All our old shoelaces get reused as ties for our plants and plastic bags off loaves of bread are great for taking sandwiches to work. Old dishcloths make good rags for cleaning and old household rubber gloves cut into narrow strips make elastic bands of different sizes. I used to live in an area where residents could put their unwanted items out on the pavement (sidewalk) maybe twice a year. This worked well, plenty of people would take items they wanted, even an old toilet!! Don't laugh, but you would not believe the things people throw out on trash day. I used to go around with my truck on trash day. A great time to go is always around the Christmas season. I have found so much new stuff that is not even used and still in the box. I found a bike that looked like it was brand new and knocked on the people's door and asked if they were throwing away the bike and the only reason the bike was in the trash because the owner got a new bike they liked better. It is amazing what people throw out and people do not donate to a charity. A great way to reuse is the join a Freecycle group.